Siamese Fighting Fish (male) Tropical Fish Learn all about the Siamese Fighting Fish (male)'s feeding habits and food types, its behaviour, its origins, its natural habitats, is it male or female, breeding advice and information, suitable tank mates, its sizing and growth range, minimum tank size, water PH and more. Use our fish community creator tool to plan your tank set up and ensure that the Siamese Fighting Fish (male) is the right fish for your aquarium. The Siamese Fighting Fish is a firm favourite amongst many aquarists and with its extensive finnage and colour, is often unfortunately bought on impulse. Many fish keepers have problems keeping these fish and this is mainly down to incompatible tank mates and a lack of useful information. The male fighters downfall is its extensive finnage, which provides an attractive target for many otherwise peaceful fish to take a nip at. The culprits for this are not always the usual suspects and normally peaceful ‘community’ fish can often find nipping irresistible. Almost all deep-bodied tetras will nip at fighter fins, and many slender tetras have also been seen to be problematic. Whilst the Siamese Fighter itself is usually peaceful, and only gets its name from intense fighting between males, it is very variable in character and individuals may be reclusive and timid or bold and extrovert depending on their environment. Rogue individuals can also cause compatibility problems with tank mates and fighters have been known to bully or pick on other fish at random. Whilst there are problems with mixing, this depends very much on the individual fish and in the majority of cases if Siamese Fighters are kept in the correct environment, they can be housed with a variety of species. Due to the complexities of safe mixing, the Siamese fighter is not included in the Think Fish Community Creator and it is best to rely on solid fish keeping experience and advice from expert fish keepers. Aquariums for Siamese Fighters should have plenty of hiding spots, plants and areas to investigate. Small aquariums are often preferred by fighters, but not obscenely small as is unfortunately all too often seen. Although not as common in the UK, Siamese Fighters are seen kept in incredibly small containers, where due to their hardy nature and ability to breath air, they will survive. This practice must be considered incredibly cruel and inhumane. It is perfectly fine to keep a male Siamese Fighter in a small aquarium (30cm+) provided it is heated, filtered and well planted. The natural lifespan of these fish is around 18-24 months, fish offered for sale are normally around 6 months old. Never keep two males together or they will fight until one is dead. Females and males can be mixed, although this is best left to experienced fish keepers since during spawning the fish can get quite rough, and territorial individuals will be problematic. Female Fighters are less colourful and do not have the long fins of the male, females are relatively peaceful and can be kept in groups but they are also timid and prone to disease problems. If you have a question about keeping Siamese Fighting Fish (male)'s then please use our Siamese Fighting Fish (male) help forum. Join 100's of other fish enthusiasts with 1000's of years experience between them caring for and keeping fish like these. 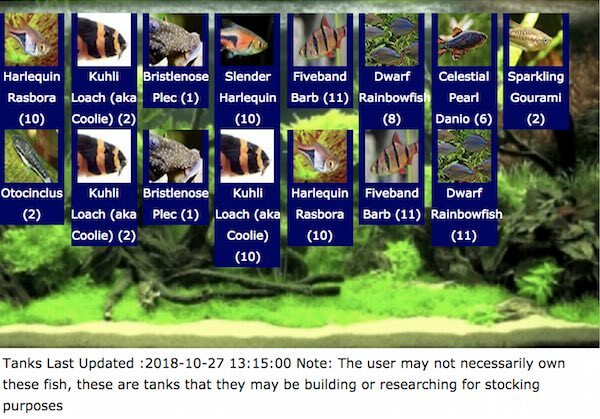 You are in the thinkfish community creator for the Siamese Fighting Fish (male) fish species, you can learn all about how the tool works in assessing fish tank mate compatibility at the link provided or use the tool tips provided to guide you. Create a test fish community that includes the Siamese Fighting Fish (male) species and any other types of fish or crustacean you'd like to introduce - You can assess the best companions, tank size suitability, stocking levels based on filter type and volume and possible negative interactions and warnings as you build up your aquarium. Please do check your water type for compatibility with your fish, which can be found on the Siamese Fighting Fish (male) information box above and your local water company providers website. Don't waste your money and endanger your fish! If you'd like to talk about the "Siamese Fighting Fish (male)" with our users, then we have a buzzing community of fish enthusiasts where you can talk about tank issues, Siamese Fighting Fish (male) fish behaviour, Siamese Fighting Fish (male) tank stocking and any other issues related to the Siamese Fighting Fish (male) fish or other types you may have.